I'm here in the beautiful country of Costa Rica. When most people travel, they concentrate on relaxation and being stress-free. They want to have all positive thoughts. Not me. When I travel, I'm focused on disease. I like to know the infections that are happening that I may be exposed to. I'm going to discuss mosquito diseases and symptoms and what you need to know. Here in Costa Rico, there are diseases that can be transmitted by mosquitoes. Mosquitoes are those pesky little bugs that show up uninvited to every barbecue, every soccer game, and other places outdoors. As it turns out there are myriads of mosquitoes right here in Costa Rica and in other popular travel areas as well, such as Brazil, Panama, the Caribbean Islands, and the Virgin Islands. Most of us are just annoyed by mosquito bites. We're annoyed because the proteins in the saliva of mosquitoes cause a local inflammatory reaction which causes a redness, a swelling, and an insufferable itching. However, mosquitoes can also carry diseases. The diseases carried here in Costa Rica carried by mosquitoes are many. But today I'm going to discuss just a couple of the diseases. Zika virus and Dengue fever. Ever since May 2015, there has been a Zika virus outbreak. Places have been affected such as Florida, Texas, Brazil, Central and South America and other places as well. Zika virus is a disease that's transmitted from mosquitoes. It can cause symptoms such as fever, rash, joint pain, red eyes, headaches or it can cause no symptoms at all initially. The Zika virus not only is transmitted by mosquitoes but it can also be transmitted sexually and transmitted in blood products. For example, in a blood transfusion if a person who's donating blood has the Zika virus. Zika virus can cause particular problems in pregnant women. It can cause the unborn precious baby to develop microcephaly which means the child has a very small head and small brain and the child can have hearing problems and other developmental issues. There is no vaccine for the Zika virus at this time and there is no specific treatment for the Zika virus. There is, however, a blood test for the Zika virus. If you have traveled to a place where Zika virus is prevalent or if you have any symptoms or feel that you are at risk, it is important that you see your physician especially if you are pregnant or trying to get pregnant. Dengue fever is another virus that can be transmitted by mosquitoes. 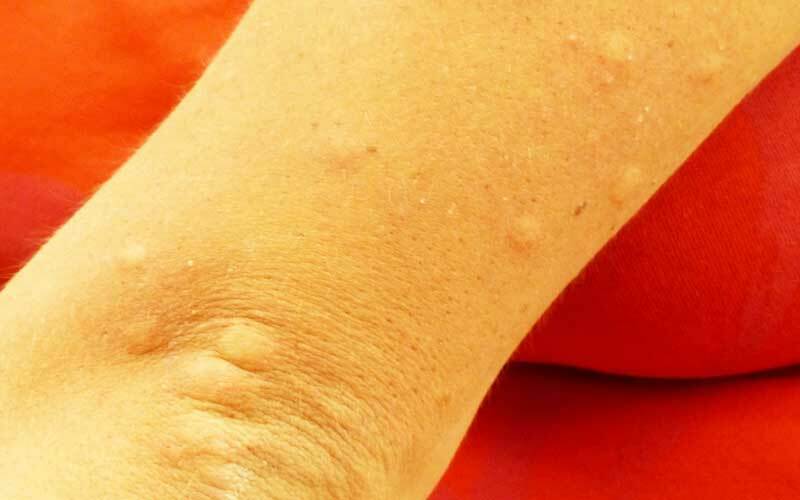 If you are bitten by a mosquito given Dengue fever's the symptoms will usually show up anywhere between four days and two weeks and the symptoms usually last for about five to seven days. Dengue fever symptoms include fever, severe headache, and severe joint pain. You can also get bleeding gums, bleeding nose, nausea, vomiting, diarrhea and if you have severe symptoms you can actually vomit blood or have seizures. 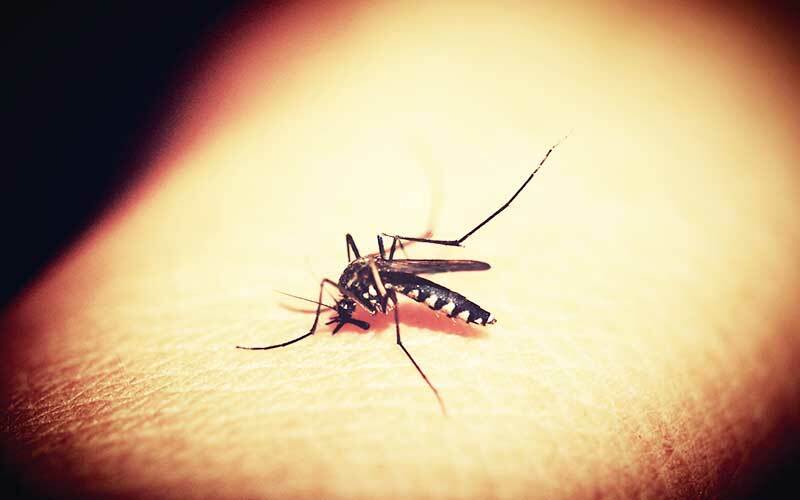 People who are at risk for getting severe symptoms from Dengue fever include babies, elderly patients, pregnant women, obese patients, patients with diabetes and other chronic medical illness such as kidney failure. There is no specific treatment for Dengue fever. However, there are treatments for the various symptoms. Many people with Dengue fever actually have to be hospitalized. There are other diseases that can also be transmitted by mosquitoes including Malaria, West Nile virus, and Chikungunya. How do you prevent attracting mosquito-borne diseases? Don't get bit by mosquitoes. Make sure that you wear insect repellent or that you buy candles which repel insects or wear coil bracelets that contain citronella to repel insects. Try to avoid being where you know mosquitoes are, like in the deep woods or near standing water and try to avoid being out during the very early morning or early evening. And wear long sleeves or long pants when you know you are going to be around mosquitoes. Though there are no specific treatments for mosquito-borne illnesses I discussed Zika virus, Dengue fever, and others mosquito-borne diseases. If you have traveled to areas that have these viruses or if you suspect that you may have contracted the viruses, it is very important that you see your physician, especially if you are pregnant or elderly or if you have a chronic illness. This ends my overview of mosquito diseases and symptoms as well as mosquito-borne illnesses. So as you travel to Florida, the Islands and to other tropical paradises make sure that you protect yourself from mosquito bites. If it feels like you are at risk for any of these diseases please consult your physician. As always, strive to live your healthiest, happiest life. Have you had an experience with any diseases transmitted by mosquitoes or do you have a question? Comment below, I'd love to hear from you.